DECEMBER 14, 2017 – Round tables in the Temple Emanu-El social hall were draped with white paper cloths. The coffee pot and cookies beckoned from the corner. Around five minutes before 7, a steady flow of adults greeted each other, staking out a seat within just the right view (and hearing range). They clutched textbooks and pens, and bore the excited, eager look that marks adult learners. 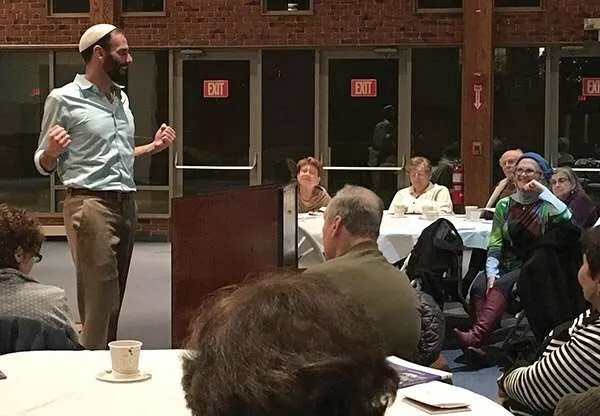 For four Tuesday nights this fall, 30 people attended a class co-taught by Rabbis David Meyer of Temple Emanu-El in Marblehead and Michael Ragozin of Congregation Shirat Hayam in Swampscott. Titled “Israel’s Milestones and Their Meanings: The Legacy of the Past and the Challenge of the Future,” the curriculum was developed by the Shalom Hartman Institute iEngage in New York and addressed three pivotal moments in Israel’s history: 1917, 1947, and 1967. The rabbis alternated locations, with two classes at Shirat Hayam and two classes at Temple Emanu-El. While the class appreciated the readings and history, it was the interaction of the rabbis that most resonated. For Brenda and Shelley Cohen of Marblehead, these evenings were a way to share. “My husband is a history buff and he fills in everything I don’t know,” Brenda said with a laugh. The rabbis stressed the importance of uniting a community challenged by divergent views toward Israel and American politics. “We thought we could do something that would bring a measure of healing and acceptability into the conversation around Israel,” Rabbi Ragozin said. Rabbi Meyer agreed. 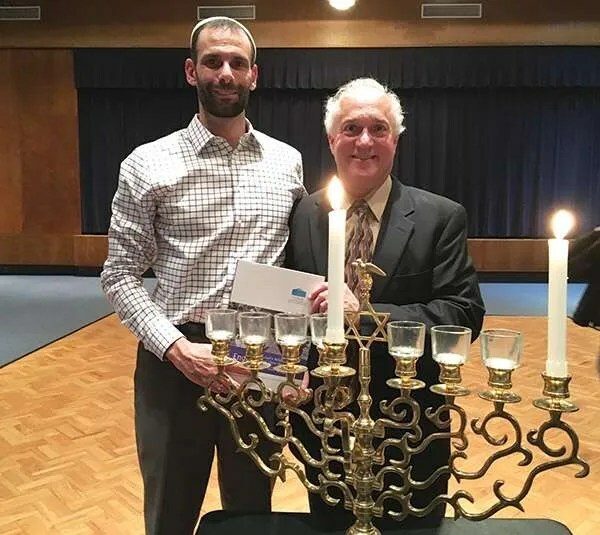 “We really sought to create a fresh dialogue and a new conversation about Israel, about the role Israel plays in the world and in our lives,” Rabbi Meyer said. “It’s a luxury to have two rabbis teaching us,” said Margaret Somer, a Swampscott resident and Shirat Hayam member. Even more important to her, however, was thinking about the 1967 Six-Day War, especially as the celebration of another historical miracle – Hanukkah – approaches. “It was a major, major moment in history, a transformation of how the Jewish people feel about themselves, the confidence and assertiveness,” she said, pausing as she searched for the exact words that summed up how she felt. She smiled broadly. “It’s OK to be Jewish,” she said triumphantly.